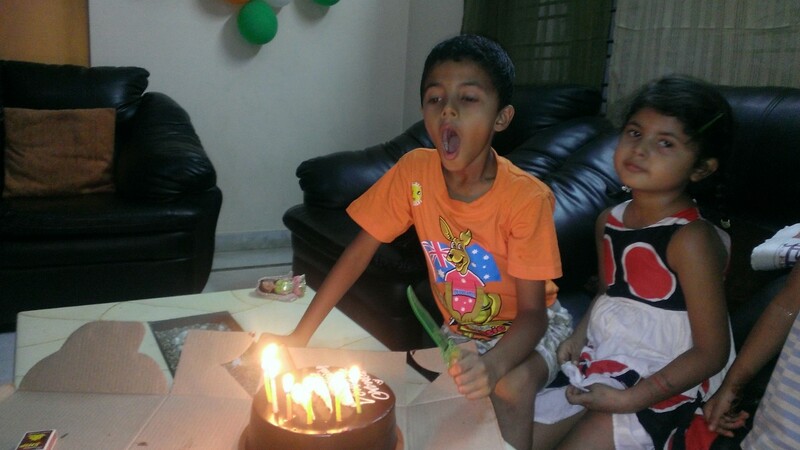 Annnnd… Venky is seven!!! Just like that. In a blink of my eye. So, what’s new with my boy this year? I’ll have to think hard because I really did just bat my eyelid and he turned seven from six! Then I see you running. Running all over. Because sitting is sin for you. And your sister running after or before you. Then you get yelled at because I get worried about Tunmun falling down. You sit for full five minutes and then you are back to running again. Mr high energy is still difficult to be sat down. Unless the offer is a tab, cartoon or book. You are adventurous. You love outdoors, water and rides. But you are sensible enough to follow the rules laid down by us. You have become totally self-reliant and we are hands free parents as far as your are concerned. You are also extremely understanding and adjusting. You understand the value of money and can be talked out of ‘expensive’ things. You understand that your sister is younger and usually give up things for/ to her. You understand when your father is in US and not present for your birthday. You understand when your mother reschedules the Rio2 show she promised on your birthday to some other day because of show’s new timing conflicting with her office timing. Dear Venky, I have already started feeling that my time with you is running out fast. On one hand I love this mature big kid of mine, on the other I don’t want you to grow up anymore. That said, my life is beautiful this very moment because of you. I guess I must have done something really good to deserve a child like you. Before I bat my eyelid again, let me wish you a very happy birthday. Stay the way you are. Simple, smart and energetic. loved the picture… kids grow up so fast! Happy B’day Venky!